If you were injured in a slip and fall accident and you believe it was not your fault, it is important you hire an experienced Oxnard slip and fall accident to handle your claim. Posted in Oxnard on Thursday, Jan 04, 2018. 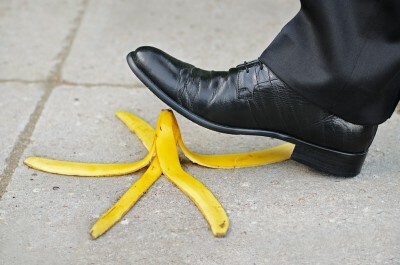 Slip and fall accidents are very common and among the main causes of accidental deaths throughout Oxnard. They can happen anywhere and under a wide variety of circumstances. Unfortunately, over 8 million ER visits are related to these types of accidents. But many times victims don’t know what to do. If you were injured in a slip and fall accident and you believe it was not your fault, it is important you hire an experienced Oxnard slip and fall accident attorney to handle your claim. Restaurants, supermarkets, and businesses in Oxnard are responsible to maintain their premises and keep them safe for all shoppers to enjoy. Whether that includes implementing the proper safety features, training their staff to handle these incidents, or remodeling their property, any scenario that may cause an accident should be prevented and avoided by customers. Go to your doctor right away – Your health is very important. When you seek medical attention you gain the opportunity to document your injuries and use this information as evidence in court. You may be entitled to receive compensation for medical costs, lost wages, and pain and suffering. Report the incident – This is the first and most crucial step. You need to call the property manager or landlord, document the incident, and request a copy of the incident report. Don’t talk to staff working at the place where you fell – They may act friendly to fish for information and may even offer you a cash settlement. You should not accept any offers or provide them with information other than the one required to file the incident report. There are times when business owners hire private investigators to investigate the accident so be careful who you talk to and the information you provide. Gather as much evidence as you can – Take photographs of the incident and accident scene, including issues or conditions that may have caused the accident. Document important details such as the date and time of the accident, clothes you wore, and so on. Don’t provide your insurance company with a recorded statement – A recorded statement is not required therefore you should not say anything until you consult your Oxnard slip and fall accident first. Don’t post photographs of your accident on social media – You should stop posting while you are filing your personal injury claim. Some information shared across social media platforms can be used against you in court. Hire a personal injury attorney in your area – Your attorney can help you file a successful claim and talk to claim adjusters on your behalf. There are some costly mistakes you can avoid when you have an attorney on your side. They can negotiate with insurance companies and obtain the compensation you are entitled to receive. The injuries sustained during a slip and fall accident can be life-altering requiring costly ongoing treatment and a prolonged recovery. To find out more about your legal options and to schedule your initial case review, contact personal injury attorney J. Jeffrey Herman today.